At the present moment Muck has a population of just over 30. The majority of the island is run as a single farm of beef suckler cattle and sheep running about 600 breeding ewes and 50 cows and a small herd of Highland ponies. There is also a separate smallholding which runs 40 ewes. There is a primary school on Muck with a roll of 7 pupils currently. When children reach the age of 12 they go to high school on the mainland, the nearest school being in Mallaig, where the children must board. Muck has no mains electricity, their power is supplied by a combination of wind turbines and solar panels with battery storage. When there is no wind there is a back-up diesel generator. Prior to the wind turbines each house had their own diesel generator. 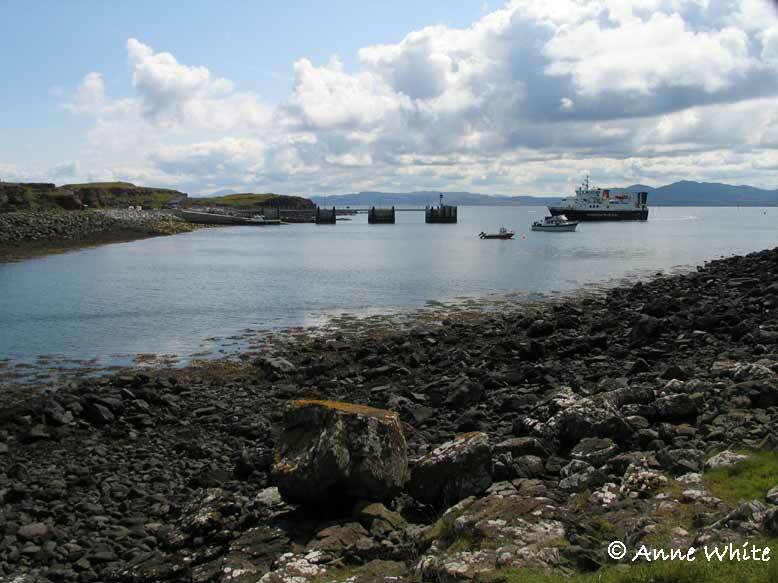 In 2004 a new pier was completed allowing the Caledonian MacBrayne ferry to dock at Muck, previously passengers and freight had to be offloaded into a flit boat to complete the journey to shore. There is a craft shop, tea room and evening restaurant on the island open during the summer which provides the most delicious home baking. The building which houses the Craft Shop, is a 19th century croft house with extensions which has been roofed with slates, rather than the original thatch. The house was built about 1850 by Ewen MacKinnon and his brothers who were fishermen. Muck has never had a church, and currently services are held in the schoolroom. The Small Isles are served by the minister from Arisaig. In 2011 a community hall was built.